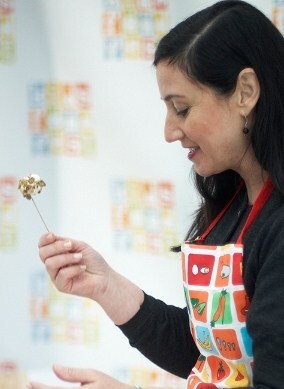 jackie knows food...how to talk about it, write about it, and cook with it! Jackie is sought after as a top spokesperson in the food and nutrition industry. After her highly-visible role with the Academy of Nutrition and Dietetics as a national media spokesperson, she has represented dozens of companies and commodity boards. Below is a list of clients that she has worked with as a media spokesperson with culinary nutrition expertise. With a unique background as a classically trained chef and registered dietitian nutritionist, Jackie is able to not just recommend what to eat and explain why, but also transform that information into practical, tasty, and clever advice consumers can truly use. Disclosure: Jackie is currently a spokesperson for California Prune Board and KIND Snacks.